TrX Live Firewall was a Turkish project. TrX produces a Debian GNU/Linux-based desktop router and firewall package. This package was bootable directly from CD-ROM, so hard disk installation was not necessary. TrX was designed to work completely off the CD-ROM, with configuration data stored on a floppy disk, harddisk partition or, in future versions, on a USB storage device. 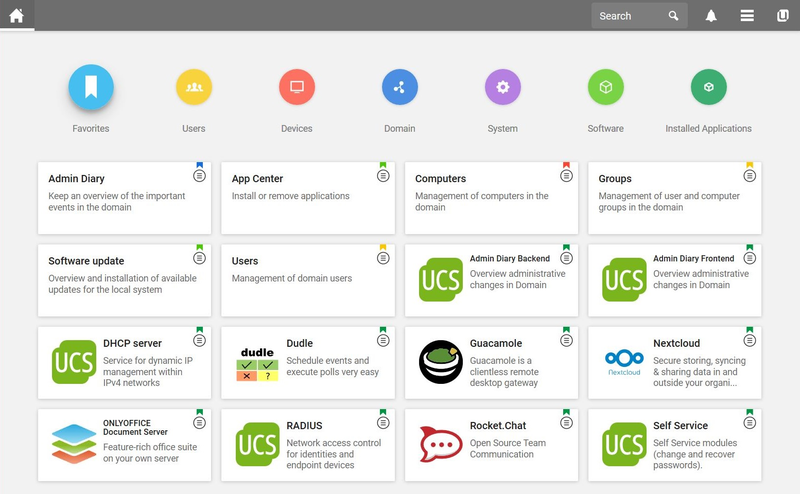 Rate this project The developers of Univention Corporate Server (UCS), a Debian-based server distribution with Active Directory compatible domain services, have published a new release. The new version, Univention Corporate Server 4.1-0, features updates to a number of key packages, including the Linux kernel and Samba, and also includes support for Docker contains in the distribution's App Center. 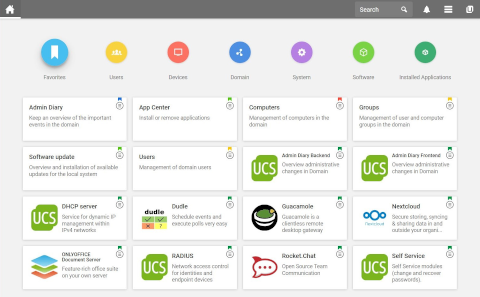 "The Univention App Center integrates the container technology Docker. With Docker, it is possible to run Apps separately and encapsulated from each other. This increases the security of the UCS domain and reduces the dependencies of the Apps on other software libraries. The integration of Docker is transparent to the users. The App Center will automatically perform the start-up and configuration of the Docker containers. The Univention App Center's usability has been improved further. Apps are now displayed more clearly. The App detail pages have been cleaned up and supplemented by a rating in the categories Vendor Supported, Popularity's Award and Editor's Award. The classification is based on data such as the installation base of the Apps or the maintenance behaviour of the app providers. Thus, the transparency and comparability of Apps are increased." Further details can be found in the project's release announcement and in the release notes. Download: UCS_4.1-0-amd64.iso (1,219MB, MD5, pkglist).